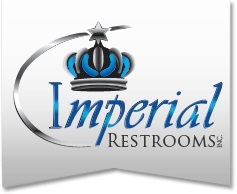 Imperial Restroom provides the cheapest, most affordable restroom trailer rentals in Huntington, New York for large outdoor weddings, fairs, festivals parades, soccer tournaments, sporting events, arenas, farmers markets, campgrounds, highway rest areas, town fairs, summer camps, nursing homes, group homes for the mentally challenged, retail outlets, commercial office buildings, malls, carnivals, Hollywood Movie Sets and other special events. 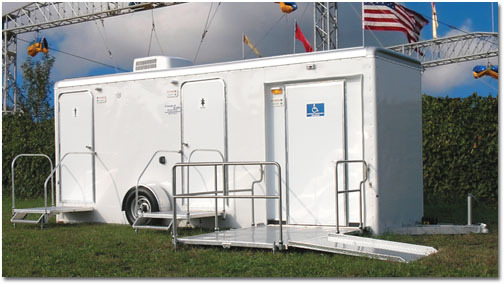 Imperial Restrooms offers the finest restroom/shower trailer rentals in Huntington NY as well as bulk porta potty rentals for thousands of people. Imperial Restroom Inc has one of the most versatile fleets of high end luxury mobile restroom trailer rentals, portable bathroom/shower trailer rentals and a large stock of porta potty rentals in Huntington NY for large outdoor events with a need for high capacity lavatories in areas where facilities may be inaccessible or non-existent. The Restroom Trailers are heated/air conditioned and have the ability to run from an electric generator in areas where electricity and running water are inaccessible. 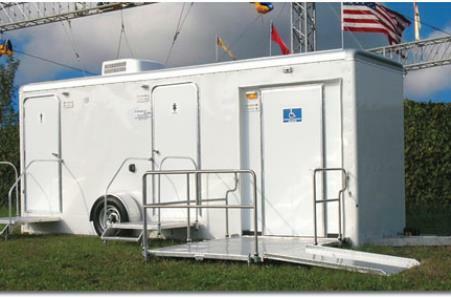 Imperial Restrooms provides short and long term restroom/shower trailer rentals in Huntington NY and surrounding areas. Imperial Restrooms are exquisitely designed and area equipped with facilities and amenities such as Vessel Sinks, Corian Countertops, TV's, DVD Players, AM/FM Radio and CD Players, Speakers, Heating and Air Conditioning Systems, Privacy Stalls, Hot/Cold Running Water, Soap Dispensers, Trash Receptacles, Vanity Mirrors, Men's & Women's separate restrooms for privacy. Call Imperial Restrooms for a Free Phone Consultation Regarding Sanitary Needs For Your Special Event in Huntington NY! 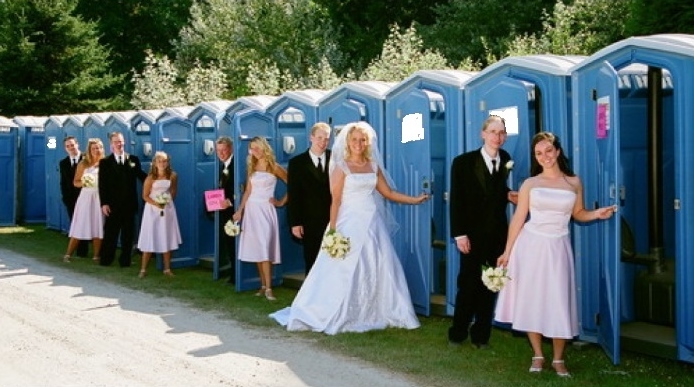 Finest Porta Potty & Bathroom Trailer Rentals in Huntington NY!